Though it may seem that our bones never change, the reality is that bone is dynamic and the cells in our bones are constantly turning over and rebuilding with new bone. Two types of cells do this work: Osteoclasts break down and resorb old bone which allows another type of cell, called osteoblasts, to generate new bone. As we age, and particularly when women pass menopause, this balanced partnership can become imbalanced, meaning osteoclasts resorb bone more quickly than osteoblasts can build new bone. This imbalance leads to a disease known as osteoporosis. Over time, osteoporosis weakens the bones and can make them more likely to break. While osteoporosis can affect any bone, the hip, spine and wrist are most often affected. If a bone mineral density test shows that your bones are thinning or that you have osteoporosis, your health care provider may prescribe a type of medication called bisphosphonate. This class of drugs slows the activity of osteoclasts, the cells that break down and resorb bone. By slowing bone resorption, the other bone cells, osteoblasts, have more time to rebuild new bone. Complications of broken bones related to osteoporosis are often severe, particularly in the elderly. The earlier osteoporosis can be diagnosed, the sooner treatment can be started to improve the condition and keep it from getting worse. If you are prescribed a bisphosphonate, you will most likely take a pill. Some patients receive their bisphosphonate medication through an intravenous (IV) infusion. When taking a bisphosphonate in pill form, you must take it exactly as directed. In most cases, you should take it on an empty stomach except for a type of bisphosphonate called risedronate sodium, which is marketed as Atelvia®. Only take a bisphosphonate with plain water (do not take this medication with flavored water or water with additives). Remain upright – either sitting or standing – for a minimum of 30 minutes after taking this medication. It is critical that you do not eat or drink anything for a minimum of 30 minutes or up to 60 minutes after you take a bisphosphonate. Remember to follow directions exactly as stated on the label of your medication. By taking your bisphosphonate medication as directed, you should be able to slow bone loss. Your primary care provider may recommend a follow-up bone mineral density test to check on your bone health. Talk about bone health at your next visit with your primary care provider. 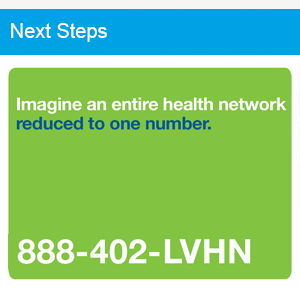 Visit LVHN.org or call 888-402-LVHN to schedule an appointment with a primary care provider.